You might want to double check your Ibotta rebates for a possible double dip. 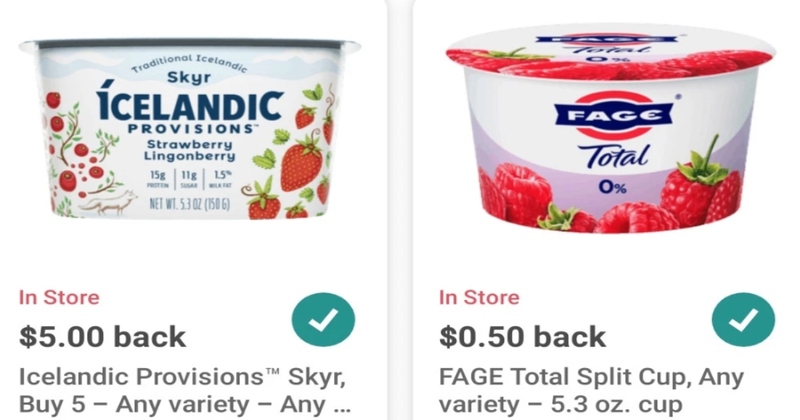 I had an Icelandic Provisions buy 5, get $2 rebate and a buy 5, get $5 rebate in my offers. Stack that with the $5 Target gift card and 10% off Cartwheel offer for a great deal. This all turned out to be a $2.18 Moneymaker for me today!